Eco Jungle Lodge, Featuring Ultimate Rafting Adventure. 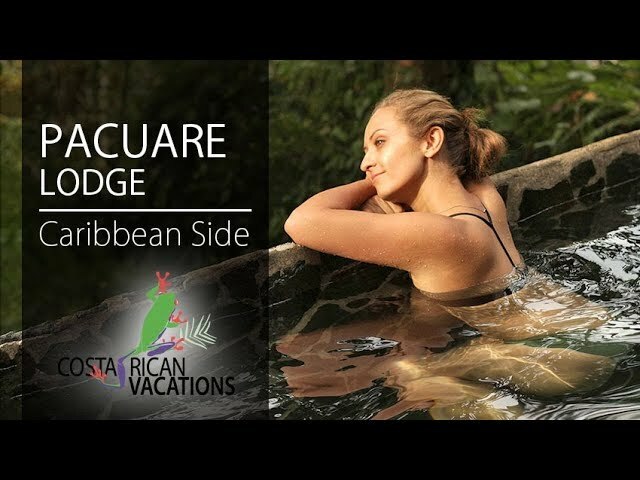 One of National Geographic’s Unique Lodges of the World, the Pacuare Jungle Lodge is a unique and adventurous property in the secluded jungle. For families with teens, couples seeking alone time, and groups who are adventurous, love rafting, and want to completely disconnect in a jungle setting—this is truly a once-in-a-lifetime experience. The lodge itself is set along the Pacuare River, on the Caribbean side of Talamanca Mountains range. The most special, and memorable aspect of the lodge is the true immersion in nature that it provides. With 850 acres of pristine rainforest around it, the 19 bungalows were built along the river. The constant sound of the rushing water added to the peace and quiet of the surrounding forest guarantee a relaxing respite from the sounds of daily life. Although isolated, Pacuare Lodge provides plenty to do during the day. You can simply relax on your private terrace, soaking in the sounds of the river, the wind, and birds, or try hiking on the nature trails. You also have the opportunity to do one of the many onsite and local tours (additional cost). They include white water rafting, canopy tours (zip lining), hikes to a local indigenous village, canyoning, and a waterfall visit. Other special activities include massage treatments and dinners in the Nest, a platform 20 meters (60 feet) high in a treetop. For the ultimate glamping stay, you’ll be in the stunning thatched-roof bungalows set in the trees. With no electricity, you will be able to truly take in the darkness and silence around you at night. Lit by warm candlelight, your room becomes even more romantic. Guest rooms offer privacy, while the decor is understated and elegant to blend with the natural surroundings. They are equipped with a safe and a telephone to communicate with the lobby. The main lodge features minimal electric lighting, and there is WiFi in the office and an outlet to recharge small electrical devices. Guests will enjoy a full meal plan including breakfast, lunch, and dinner at the on-site restaurant, Nairi Awari Restaurant. Due to the very remote location of Pacuare Lodge, they offer limited menu options with very fresh local ingredients. Pacuare Lodge has a diverse selection of alcohol available (at an additional cost). Pacuare Lodge is deeply committed to sustainability including producing their own (very limited) power, nature conservation efforts, and deep ties to the community. They are also certified by the Costa Rican Tourism Board with a Level 5 (highest available) CST (Certificate of Sustainable Tourism). There are a number of options available for getting to Pacuare Lodge. You can get there with round-trip land transportation, or select one of the more adventurous ways, including taking a boat to and/or from the lodge on the Siquirres River. If doing this, there are a few very important points to consider: you must pack lightly, carrying nothing larger than an approved carry-on suitcase because your belongings will travel in dry bags with the guides down the river. If you are returning to your same hotel in San Jose, that hotel can store your additional luggage. And if you are not going back to San Jose, Pacuare Lodge will store the rest of your luggage in their warehouse in Siquirres. The raft out is the best part of the Pacuare river rafting experience. It’s quite a bit longer and features great class III-IV rapids and a number of waterfalls, a great swimming hole, and lunch on the river bank.